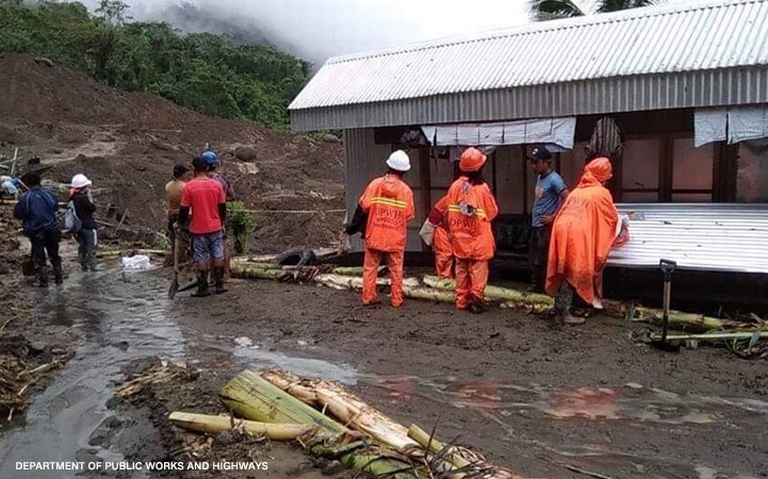 Manila, Philippines (Oct. 31) — The death toll is now at 10 bodies, all were recovered from Department of Public Works and highways (DPWH) building hit by a landslide in Natonin, Mountain Province, Secretary Mark Villar said Wednesday. Six were rescued and were mostly workers trapped in the DPWH building, while 11 others are still missing. Secretary Villar earlier said that the construction personnel are employees of the department’s contractors, RAF Construction and Moment Diagram Construction. While Natonin Mayor Mateo Chiyawan earlier reported that five bodies have been retrieved, but only three have been identified.